OTTAWA, Ontario (CNS) — Doctors who refuse to prescribe birth control pills have become the focus of a debate over physicians’ rights to freedom of conscience and religion when practicing medicine. An Alberta doctor faces a human rights complaint for posting a notice at the clinic where she works that she will not prescribe the pill. Earlier this year, three Ottawa doctors came under fire for similar reasons. The College of Physicians and Surgeons of Ontario is doing a public consultation on its guidelines, which could be revamped to restrict doctors’ rights to abstain from legal medical practices on religious or conscientious grounds. The much larger threat Bright sees looming for doctors is euthanasia, because when Quebec’s new law comes into effect it will force doctors to refer patients for euthanasia, even if they will be legally able to opt out of performing the procedure. “The day they tell me I have to be complicit in killing my patients is the day I quit practicing medicine,” said Bright, a family physician in Chilliwack, British Columbia. In cases where the exercise of a religious belief is not life-threatening, there should be great care in “breaching such important and fundamental rights as freedom of conscience and freedom of religion,” said McGill University bioethicist Margaret Somerville. Though many Catholics ignore the church’s teaching on artificial birth control, “one of the reasons some doctors won’t prescribe it is that sometimes they act as abortifacients — not just preventing conception but preventing the implantation of the embryo in the uterus,” said the founding director of the McGill Centre for Medicine, Ethics and Law. 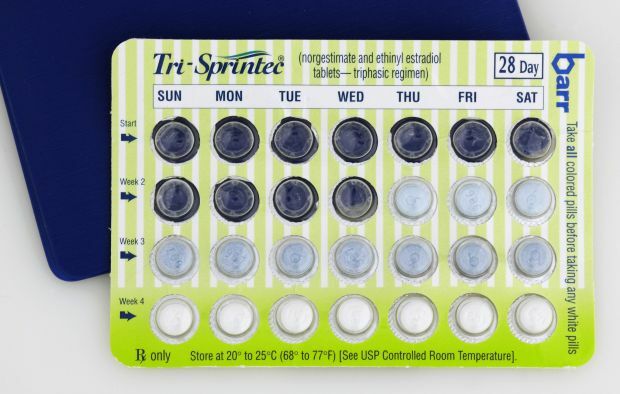 Bright noted the World Health Organization has classified birth control pills among the highest level of carcinogens. They also increase the risk of fatal blood clots, he said. The doctor said he had environmental concerns as well, because of the documented effects of widespread estrogens found in drinking water and contaminating waterways, affecting fish, frogs and people. Somerville expressed concern over the way the debate that involves religious beliefs is being handled. This tactic, she said, was “clearly used” in the Quebec government’s special “dying with dignity” legislative committee report that led to the tabling of euthanasia Bill 52 that was passed into law in June. The report “dismissed religion” as something that “used to be important” but no longer has a role to play in the public square, Somerville said. “If you want to get rid of views you don’t like, label them religious, and you can then assume you can automatically dismiss them,” she said. Bright said he feels great empathy for the doctors involved. “I know how incredibly stressful this must be, to come into the public eye and be persecuted for your beliefs,” he said. “I have many other colleagues who practice according to their faith, and this is a big threat to them,” he added. Some doctors are preparing to pay the price of losing their licenses and their livelihoods rather than be coerced by the forces of political correctness to disobey their consciences, Bright said. He said the medical ethicist Edmund Pellegrino described doctors as moral agents, just like patients. “Both autonomies have to be respected, and there has to be a give and take and mutual respect for the doctor-patient relationship to be sustained,” Bright said.